How do I add a student account to the system? This article will go through the steps required to add a new student into the system. 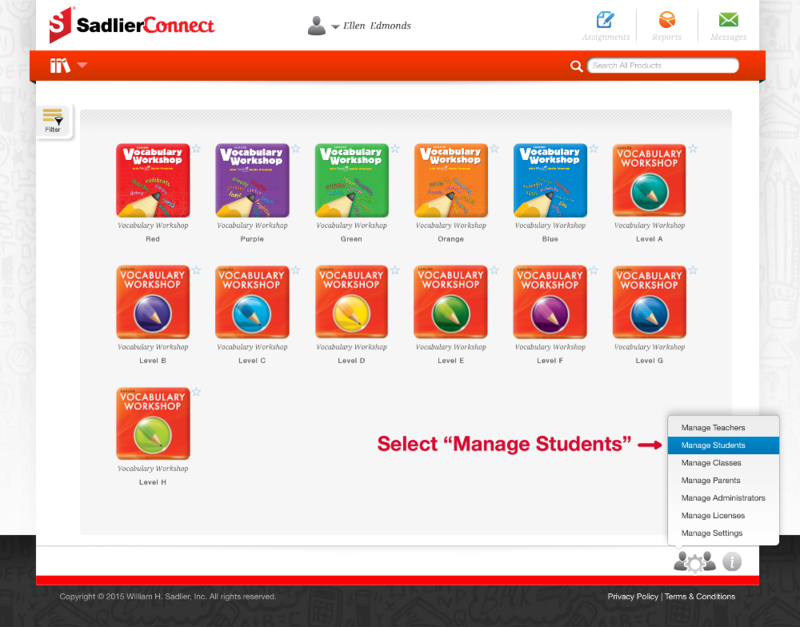 Log into Sadlier Connect using your teacher or school administrator account. Teachers, the functionality described below may have been turned off for teachers by your school administrator. If it has been turned off you will need to contact your school administrator to add students to the system. Select Add Student from within Manage Students. 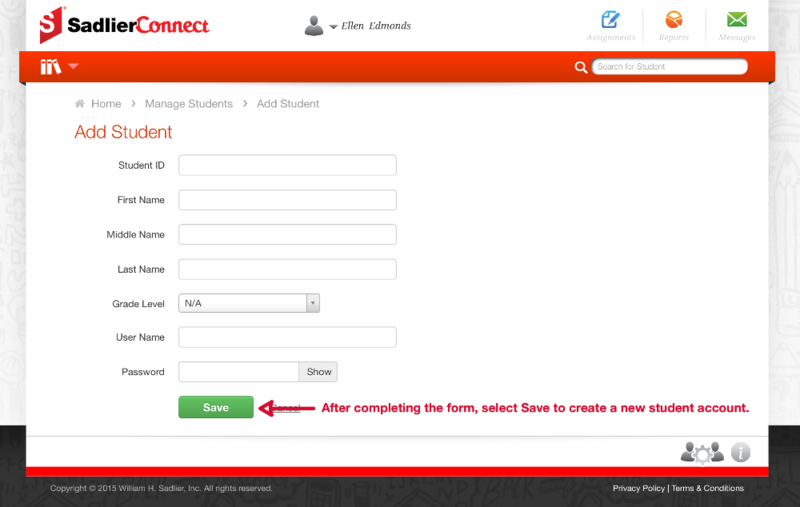 Complete the Add a Student form and select Save when done. You must provide a first name, last name, username, and password to add a student to the system. After selecting Save the student will be added to the system. You will need to add the student to the appropriate class(es). See the article, "How do I add a student to an existing class? ".